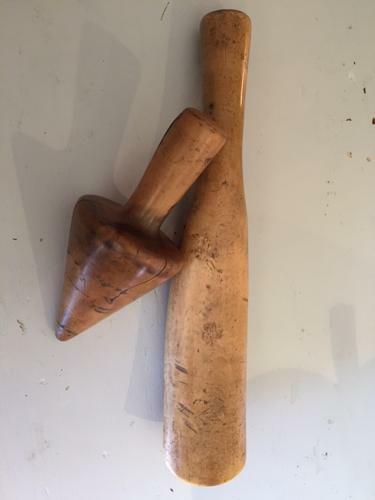 Exceptional Victorian Plumber's Lead Dressing tools made of Boxwood. The long tool is a classic Lead Dresser however I have never seen the cone shaped tool which was presumably for flaring pipes to join them? Lovely patina to both.